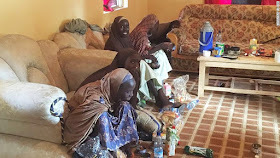 Here are photos of some of the released Chibok girls, as released by CNN. Boko Haram militants handed over 21 missing Chibok schoolgirls to Nigerian authorities Thursday morning as part of a deal brokered by the International Committee of the Red Cross and the Swiss government, Nigeria's government said. 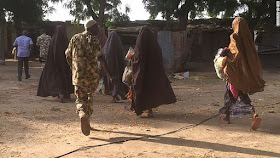 The girls are being taken to the northeastern city of Maiduguri, where they will meet with the governor of Borno state, officials in the state said. The girls were not immediately named.